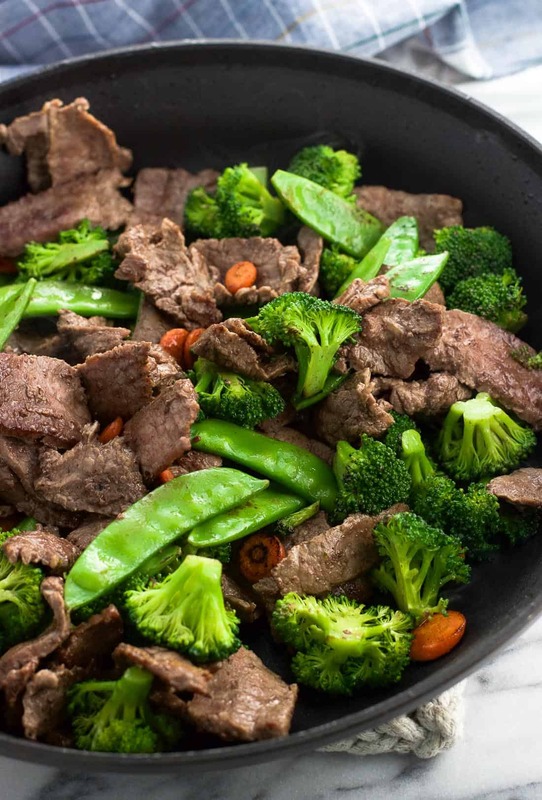 This balsamic peanut beef stir fry recipe features mixed vegetables and the BEST beef stir fry sauce for a weeknight-perfect meal. Serve this easy beef stir fry over rice, quinoa, couscous, or noodles for a delicious dinner option. This balsamic peanut beef stir fry recipe is a quintessential “oldie but goodie”. First published in March 2015, it was in sore need of some new photos. Thankfully that wasn’t an issue because we make this stir fry fairly frequently! For starters, don’t worry if you have this recipe pinned/saved and have been enjoying it over the years as it was. Very minimal changes were made to the actual recipe itself. 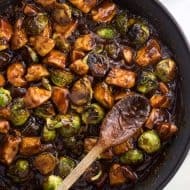 Frozen mixed vegetables and store-packaged stir-fry beef are still perfectly fine, and are listed in the notes below as alternatives to the flank steak and raw vegetables. Beyond a hot pan and oil as necessities, the possibilities are endless for a stir fry recipe. This beef stir fry recipe features a variety of vegetables as well as a to DIE for balsamic peanut sauce. 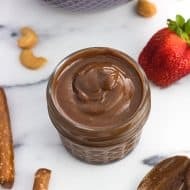 This balsamic peanut sauce makes several appearances on the blog – and for good reason. 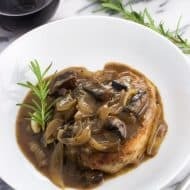 Balsamic vinegar and peanut butter added to an Asian-inspired sauce doesn’t exactly sound like it would go well together, but the tart acidity totally complements all the creamy, bold flavors. This is my go-to beef stir fry sauce recipe. You can see it used in peanut chicken stir fry, as well as shredded slow cooker beef and chicken, too. 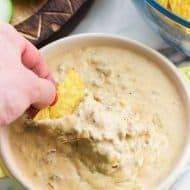 Made with just about all fridge/pantry staples, it’s a great recipe to have on hand for plenty of main dishes. 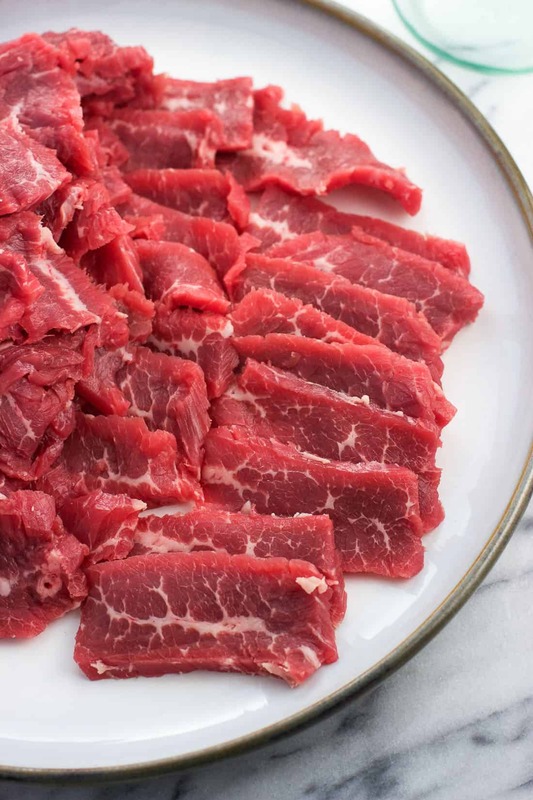 Lay the beef flat on a cutting board. With a sharp knife, trim off excess fat. With the flank steak laid out horizontally in front of you, cut it into even strips about 2″-thick from top to bottom. Take each strip and lay it horizontally on the board. You want to be cutting against the grain! Cut strips on an angle about 1/4″-thick. The biggest takeaways are that you want each piece of flank steak to be about the same thickness so they all cook evenly, and your final strips should be cut against the grain. The grain refers to the tough muscle fibers in the meat. Cutting against the grain helps ensure the meat is more tender by shortening these tough muscle fibers up. Cutting with the grain would keep these fibers longer, and would result in a chewier piece of meat. Not what we want. If you want to see this process in action, this video from Serious Eats does a great job of showing the prep from start to finish. Look at those pieces of flank steak all stir fried up! Since stir fries cook over a hot temperature, you’ll want to use a high smoke point oil here. Corn and canola oils are both neutral-tasting and have a higher smoke point, so they’re a great option to use. 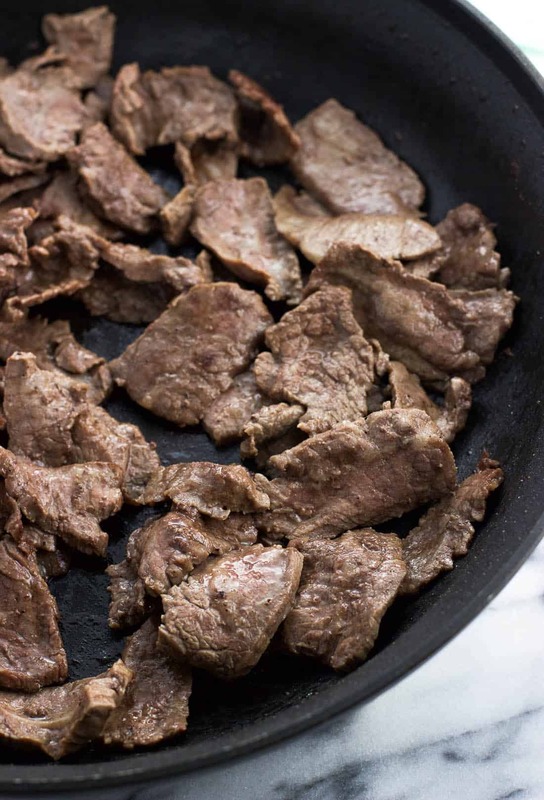 Once the beef is cooked, remove it to a plate and add a little more oil to the hot pan. Now it’s time for the vegetables. 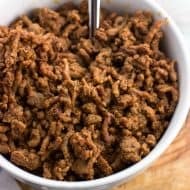 The balsamic peanut beef stir fry recipe pictures you see here include about 12-13 ounces of raw vegetables, with about half broccoli florets, then equal parts carrot slices and snow peas. What vegetables to use in beef stir fry recipe? The only thing to be mindful of would be the cook time. 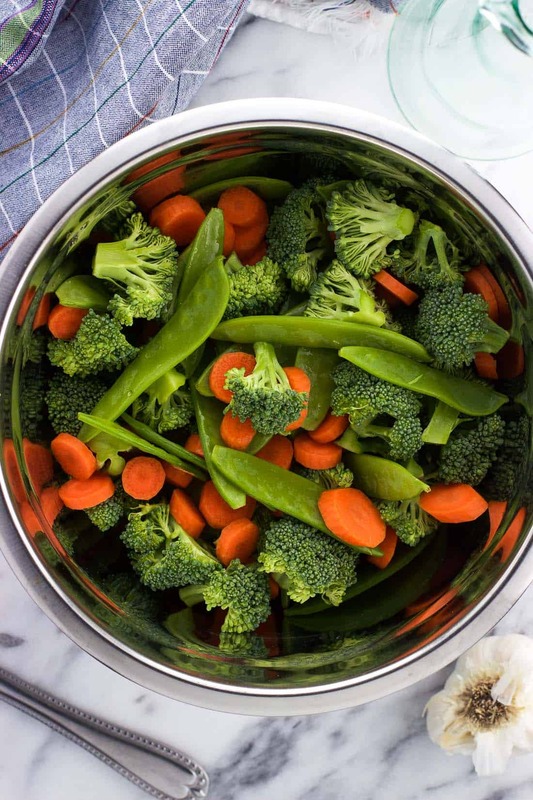 You’ll want to add harder vegetables like carrots and onions to the pan before quicker to cook vegetables like snow peas and any kind of greens so they’re done around the same time. The vegetable situation is one thing I did switch up in this balsamic peanut beef stir fry recipe update. Beforehand I used a bag of frozen mixed vegetables (usually a stir fry variety) in place of the raw vegetables the recipe now calls for. That way still totally works and is an awesome time-saver. If using frozen vegetables, I place them on a paper towel pre-stir fry so the paper towel absorbs any excess moisture from the ice crystals. This helps prevent against sogginess. Once your vegetables are all cooked, it’s time to add back the cooked flank steak and pour in the sauce. The sauce features a bit of cornstarch in it, so it’ll thicken up beautifully as it simmers. Since all of the ingredients are cooked, simply simmer everything until the sauce is thickened to your liking. Then it’s all ready to serve. What you see served with this balsamic peanut beef stir fry recipe is brown rice, which is our usual stir fry accompaniment. Quinoa also works, as does couscous, cauliflower rice (see my method of cooking non-soggy cauliflower rice in this post for pesto parmesan cauliflower rice, through step #2), soba/udon/lo mein noodles, etc. Leftovers make a great next-day lunch! To save time you can use a bag of frozen mixed vegetables. If doing so, let them sit for a few minutes on a paper towel-lined plate so any ice crystals can absorb. This helps prevent the vegetables from becoming soggy. Use your preferred mix of vegetables. 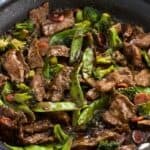 I found about 13 oz of total vegetables to be just the right amount in this beef stir fry recipe. Skirt steak will also work here. 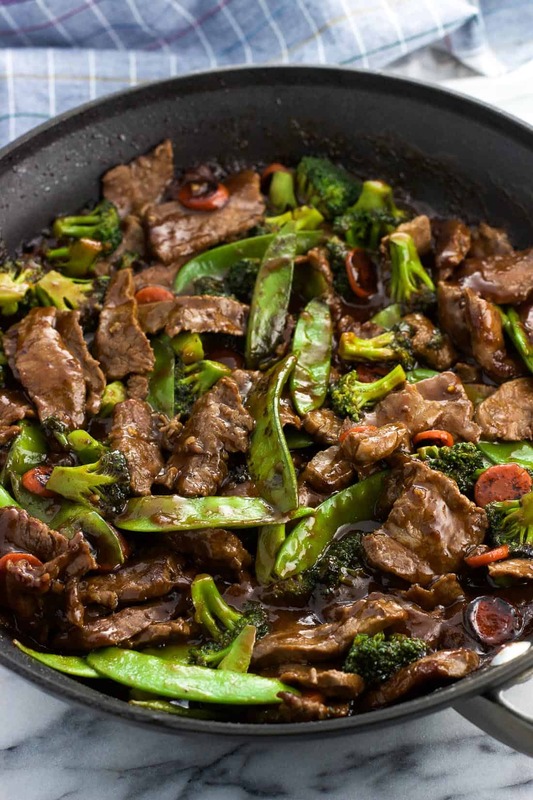 Another time saver would be to see if your grocery store offers “stir fry beef”, already sliced up and ready to roll. 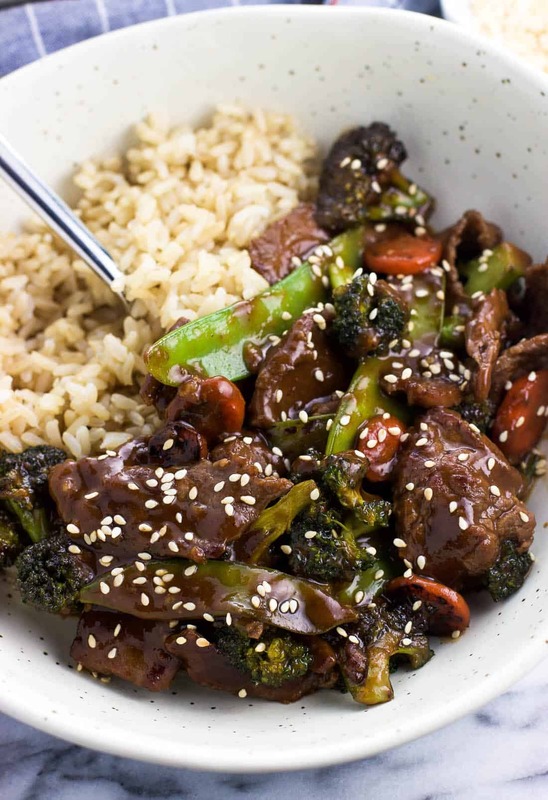 This balsamic peanut beef stir fry recipe features mixed vegetables and the BEST beef stir fry sauce for a weeknight-perfect meal. Serve this easy beef stir fry over rice, couscous, or noodles for a delicious dinner option. Slice the beef (see note in post above) and cut and prep the vegetables. Set aside. Whisk together all beef stir fry sauce ingredients in a bowl until smooth and set aside for now. Add 1-2 tsp of oil to a large pan set over medium-high heat and swirl it around to coat the bottom evenly. Add the meat in an even layer and cook until browned, flipping as needed to ensure even cooking. Once meat is cooked, remove it from pan. and add about 1-2 tsp of additional olive oil to the frying pan. Add vegetables and stir fry for 4-5 minutes, or until vegetables are cooked and crisp. Add another 1-2 tsp of oil to the pan, set again over medium-high heat. 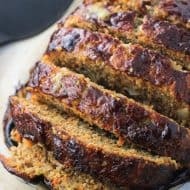 Add the carrots and cook for 1-2 minutes. Then add the broccoli florets and the snow peas. Cook for 5 minutes. Add the meat back to the pan with the vegetables and stir together. Whisk the sauce again to make sure everything is combined, then pour it into the pan. Stir everything until well-coated. Bring everything to a simmer, then lower heat to medium. Cook for 3-5 more minutes, or until the sauce is thickened to your liking, stirring occasionally. Serve over rice, quinoa, noodles, etc. Garnish ideas: toasted sesame seeds, peanuts, sliced green onion. 1.25 lbs is the weight of the flank steak after I trimmed the excess fat. There's some wiggle room here, so I'd say you can you can buy anywhere from a 1.3-1.5 lb package. Nutritional info is an estimate assuming using all of the sauce and beef. It doesn't include what you might serve it with (rice, etc.) or garnishes for serving. I would love love love to be organized…but I just can’t seem to get it done. Therefore multiple grocery runs during the work week are almost inevitable. Love all the big bold flavors you have in here, Alyssa, looks seriously delicious! Thanks Denise! I still have some work to do with organization – little errand trips definitely do sneak in during the week! Oooh, this is SO my kind of meal, Alyssa! Tasty, but doesn’t take very long to throw together. And anything peanut and savoury and I’m in! Ok, stir fry = one of my favorites. Peanut Butter = one of my favorites. Soy, sauce , sriracha and garlic. Check! This is all that! BAM! Pinned! Haha you would definitely love this one Kristi! I bet you’d amp up the sriracha something fierce though. 😉 Thanks! !